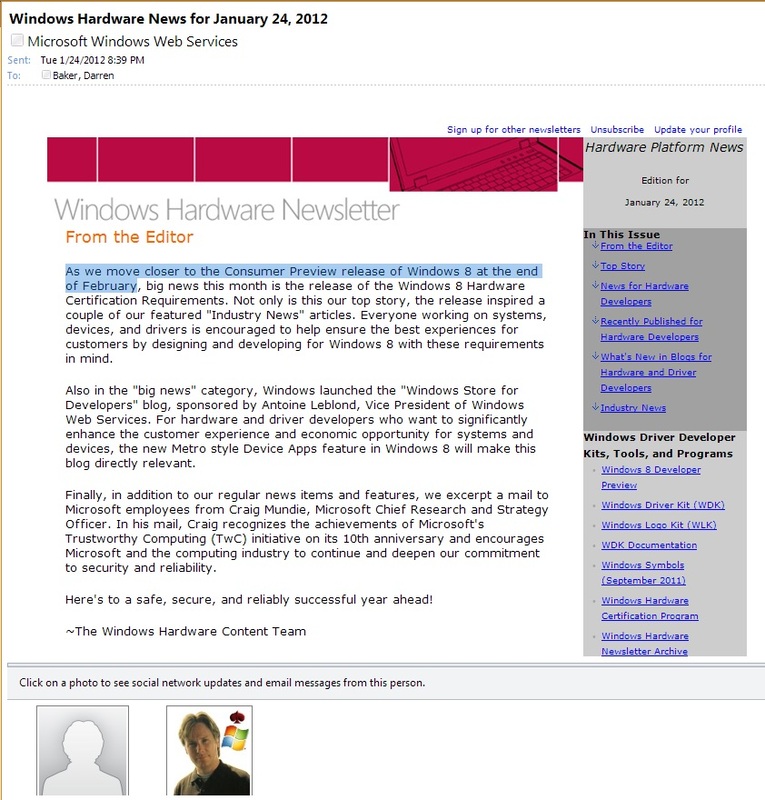 Looks like Mary-Jo Foley was right in her post about the February Win 8 Beta being called “Consumer Preview”. I am sure Mary-Jo appreciates the validation. Since this is a “NEWSLETTER” I’m sure it isnt NDA. (If it is, I’m sure I will hear about it this afternoon). Interestingly, I just asked my contacts at Microsoft yesterday and internally they are still calling it BETA.